How do you create high-performing businesses and organizations? 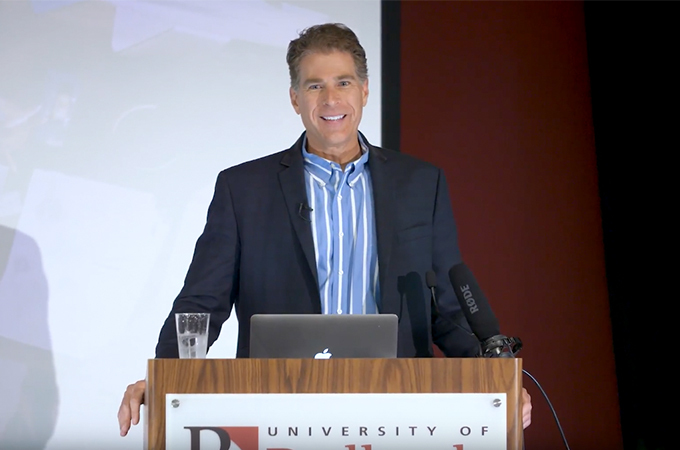 Scientist, author, and popular speaker Paul Zak provided one compelling answer at a recent talk at the University of Redlands: build trust within your team. In high-trust cultures, people devote less time to monitoring others and are more likely to deliver on their promises, according to Zak. In fact, countries with high levels of trust are more likely to have high living standards, as a baseline of trust is important for a well-functioning economy. Zak’s research has examined trust in “free roaming humans”—from mainstream corporate America to remote areas of Papua New Guinea. One way he has explored this question is through blood draws to measure levels of the neurotransmitter oxytocin. Ovation. Recognize excellence—especially in unexpected, tangible, and public ways—Zak advised. But don’t wait too long; anything more than a week is “ancient history” to the brain. EXpectation. Set high goals. “It turns out that we like doing hard stuff if we have a trusted group of people around us and we have a safety net,” he said. Transfer. Enable job-crafting. Some of Zak’s tips in this area include having colleagues bid to do projects (rather than assigning them); rotating project leads so junior team members have the opportunity to take on leadership roles; and embracing flex time. “If I am in a high-trust environment, there’s no need to clock in and clock out,” Zak said. Openness. Transparency and good communication contribute to openness, as does explaining why things are done the way they are. Invest. In annual reviews, Zak suggested asking employees where they want to be in terms of professional, personal, and spiritual growth. “This is the long game,” he said, noting he wants those who work for him to have fulfilled lives. Natural. He noted, “It turns out that people who are too perfect, too beautiful, you kind of hate. From a leadership perspective, I want to connect to people … How do I do that? I let my emotions show. And the easy way to do that is to be vulnerable.” Zak also suggested harnessing the diverse talent on your team, rather than trying to be an expert in everything yourself. To learn more about Zak and his work, check out his new book Trust Factor: The Science of Creating High-Performance Companies (January 2017) and his faculty page at Claremont Graduate University, where he is a professor and director of the Center for Neuroeconomics Studies. 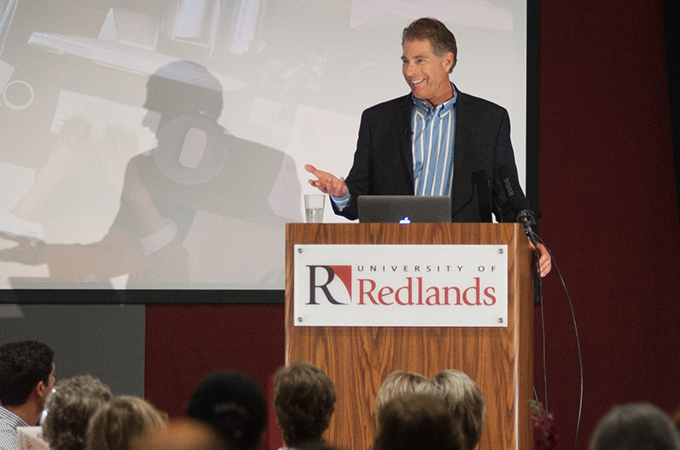 More information is also available about the University of Redlands School of Business, which equips students with the 21st century business skills needed to compete in today’s global landscape.